Teens Gabriel Ong and Andy Phan are artists in every sense of the word. As accomplished pianists, they already exhibit qualities necessary to perform onstage in a concert hall with a live symphony. Never mind that they’re only 13 and 17 years old. 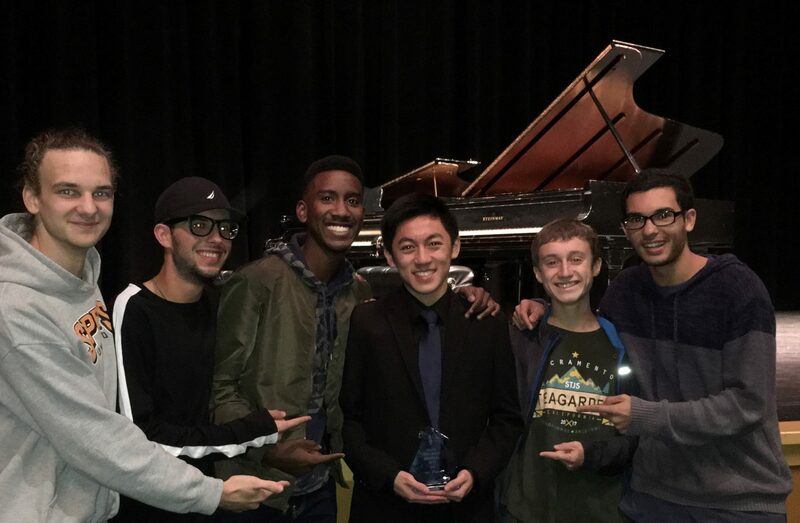 Gabriel and Andy won first place in the advanced divisions at the 2017 Olympia Music Teachers Association (OMTA) annual Piano Concerto Competition last November. 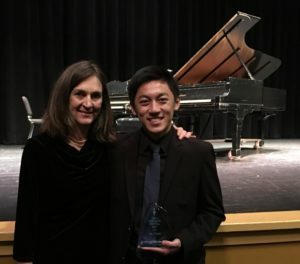 Imagine two shiny, imposing black grand pianos sitting side-by-side onstage – the student performing their concerto while their teacher plays the orchestra’s part. It’s an invigorating exercise in concentration, focus, skill, artistry and teamwork. 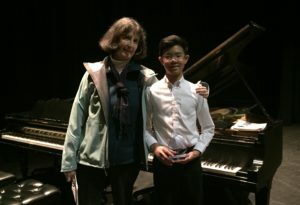 Each pianist was awarded the opportunity to perform their piano concerto with the Olympia Chamber Orchestra at their spring concert on March 3. 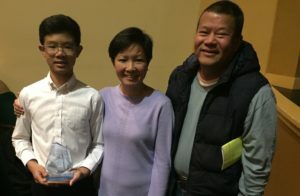 Gabriel often practices piano during the week allowing time to pursue tennis, rock climbing, math competitions and other typical eighth-grade activities, often competing at tennis and MATHCOUNTS tournaments (he advanced to the state level last year). He used to play saxophone in the jazz band, but now plays oboe. Gabriel prepares for several piano competitions annually and likes to switch among Modern, Romantic and Classical period pieces. 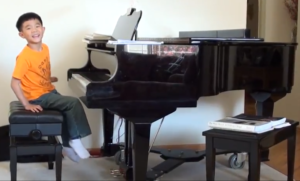 He’s performing a Modern piece in the upcoming concert. Andy also accompanies singers, his high school choir, plays in the pit orchestra for musicals and teaches three piano students. “Once I get into a piece – about a minute in – then I start relaxing and enjoying it,” says Andy who is constantly preparing multiple pieces for various competitions throughout the year. 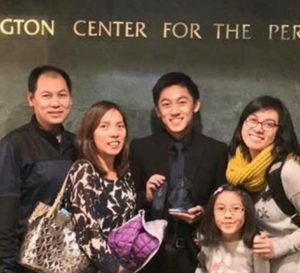 “He just won the Washington Music Educators Association Solo and Ensemble Competition and will represent our region at state,” exclaims Jennifer. Not only do Gabriel and Andy hold the key to great music, they know how to have fun playing for themselves and bringing joy to others. When performance night comes, concert-goers will be amazed watching these two accomplished pianists transform a row of glistening white and black keys into a feast for the soul. Thank you Olympia Federal Savings for providing honorariums to these fine musicians through the Olympia Chamber Orchestra!